We received our first book mention! 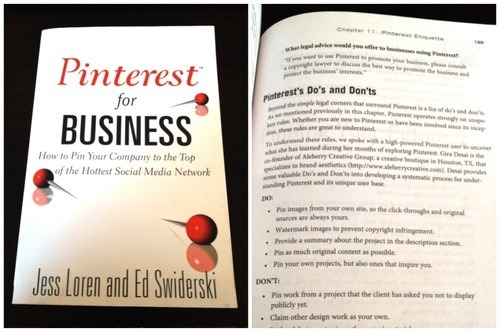 Aleberry Creative was mentioned in “Pinterest for Business”by Pearson publishing. With the recent addition of Pinterest business boards, it’s important to understand some of the important DO’S AND DON'TS mentioned in this book. Thanks to Pearson, Jess Loren, Edward Swiderski, and Kambio Group for reaching out to us! Check out some of the mentioned businesses, including Aleberry (Pin #1!) on their Pinterest board for the book.